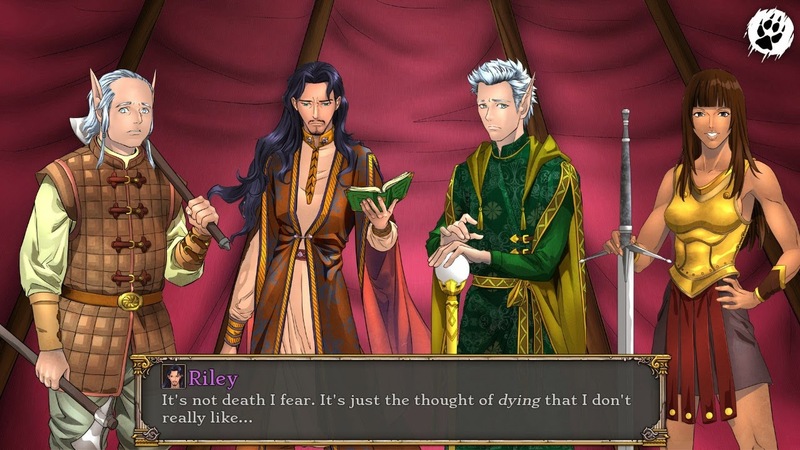 Tales of Aravorn: Seasons Of The Wolf is an interesting hybrid of visual novel and RPG. We have covered a handful of different games here of the visual novel variety, and frankly I would love to see more of them in the future. Winter Wolves does an excellent job of blending RPG elements into their story to create an entertaining experience with more depth than one might expect at first. Things start off simply enough, as you fire up Seasons Of The Wolf and are tasked with picking one of two twins - Althea and her brother Shea. From here you can select a class for each one (and the class cannot be the same for both characters). Then stat points are assigned and an interesting bit of Choose Your Own Adventure is applied as a brief backstory is told for each character, and depending on which option you choose, Shea and Althea receive a different kind of bonus. Regardless of which character you pick, the story stays focused on that character (creating some divergence in story based on your initial choice). There is a tremendous amount of beautiful art from the scenery to the characters themselves. Seasons Of The Wolf is not heavily animated, but what is there is striking for its detail and vibrant use of color. The music is also appropriate fantasy fare that never quite reaches the level of astounding, but there are some memorable melodies that complement the game nicely. There is a great deal of dialogue that goes with the art. This is where Seasons Of The Wolf feels like a visual novel. There is plenty to read and some choices to be made along the way. There is a combat system, and it is entertaining if somewhat easy, but the true focus here is on the narrative itself. The combat can feel somewhat repetitive after a time, since the visuals are not overly animated and entail a good deal of text. The strong elemental presence throughout the spells and combat makes sense as this game is themed around seasons, but sometimes it lends itself to a bit of imbalance during combat. Learning spells in the 'wrong order' can prove a bit frustrating. 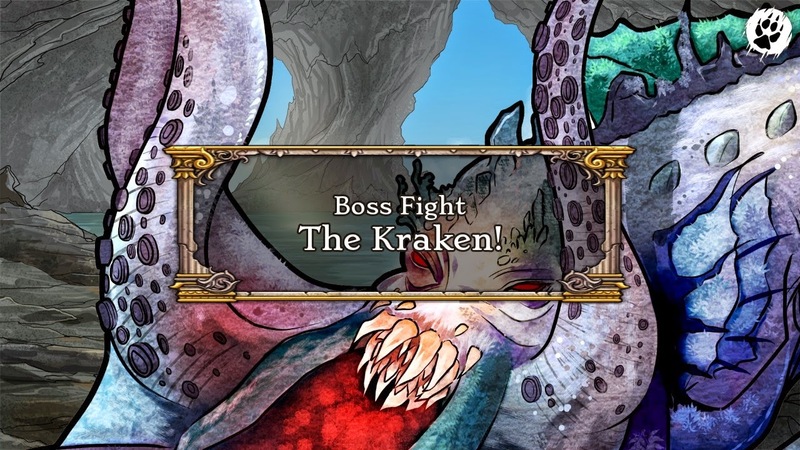 When combat occurs, it takes place in a turn-based system. There is a bar on the right side of the screen where character order is displayed. Then on a turn choices such as melee attacks, shots with a bow or magic can be applied. It is simple enough stuff that will not tax the typical JRPG fan, but the system works smoothly and serves to provide a nice progression hook to the title. Experience and loot can be earned, levels with new stat increases can be gained and choices (including who to romance - there are two options for each twin) to be made. 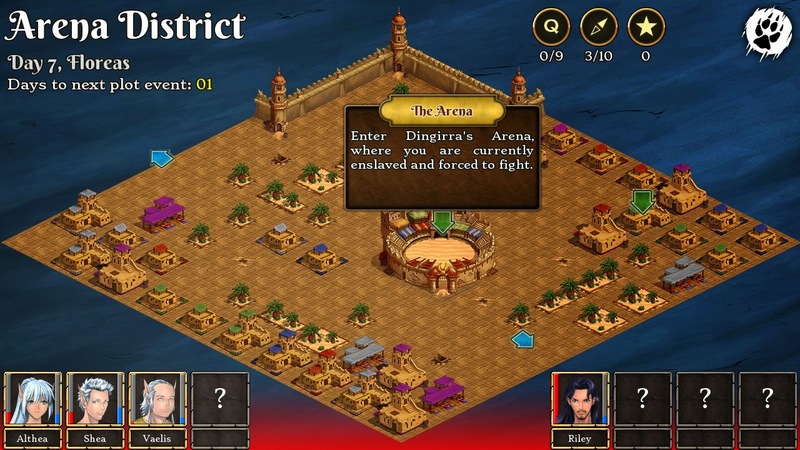 Movement takes place on an isometric map where you click the location you would like your group to travel to. It is a simple form of exploration, but for a completionist such as myself (I had over 100 hours into Dragon Age Inquisition before reaching the story's midway point because I was doing everything I could along the way) there is plenty to dive into. Some quests are not easy to attain and they can provide plenty of loot and combat. As for the story, I will not delve into any spoilers - but things start off quickly with the twins battling in an arena. The game is broken up into chapters - one for each season. Each season and its place in the narrative feels distinctive. While this is set in the same world as Winter Wolves' popular Loren The Amazon Princess, these events take place in a completely different location so there is no need to be familiar with Loren to understand what is happening here. Because there are different relationships and ending options, there is plenty of reason to replay Seasons Of The Wolf - even if only to see how the story's perspective changes slightly when choosing to use one of the twins over the other. Additionally the companions felt like actual people. They were often amusing, sometimes infuriating but almost always entertaining and helped to flesh out the story. Tales of Aravorn: Seasons Of The Wolf does a nice job of blending two genres I enjoy a great deal and coming out of it with an entertaining game. The characters really help to elevate the story and the combat and RPG elements make this a more entertaining experience for those who want more from their games than to just read a bunch of text and click some options now and then along the way. This is the sort of hybrid game that could encourage people to give visual novels more of a chance than they might otherwise be included to do. 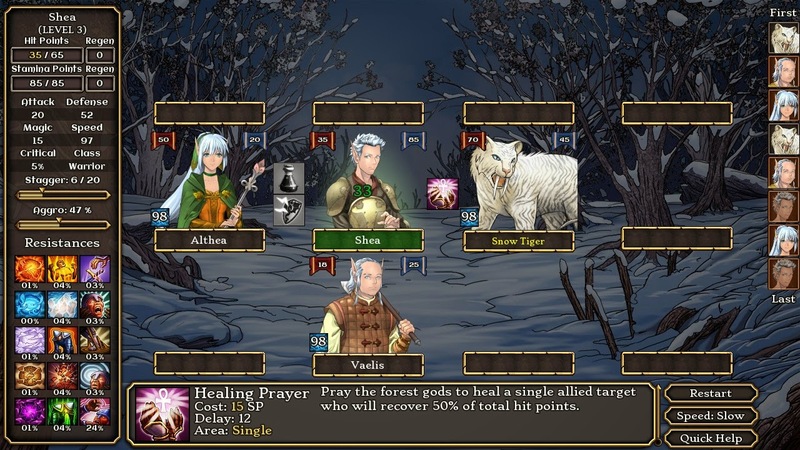 Seasons Of The Wolf will not be for everyone due to its somewhat slow pace and lack of AAA production values, but should resonate with gamers who enjoy a good tale and strategic combat.